Located in Cardiff's city centre, on the east bank of the River Taff, and opposite Sophia Gardens, Bute Park occupies approximately 59 hectares. Together with Sophia Gardens, Pontcanna Fields and Llandaff Fields, it forms part of a large open space devoted to recreation and sport. The nucleus of Bute Park was formed from the private grounds of Cardiff Castle, which was owned by the Marquises of Bute from the mid-18th century onwards. Cardiff Castle and the Animal Wall form the park's southerly boundary, while its northerly extent is Western Avenue. The eastern boundary is North Road and the western is the River Taff. The area known as Cooper's Fields is within Bute Park, at the southerly end near the castle. Although owned by the Marquises of Bute, Cooper's Fields was open to the public in the late 18th century and the first half of the 19th century. When public access was withdrawn in the 1850s the Bute Estate created Sophia Gardens on the western side of the River Taff, and made this freely available instead. 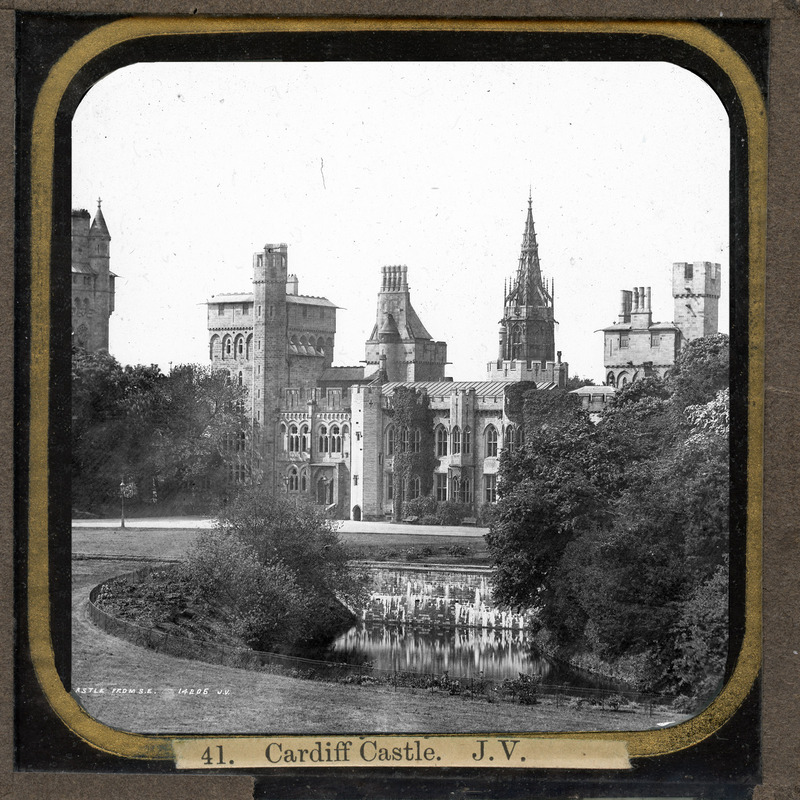 Beginning in the 1870s the Castle Grounds which later became Bute Park were laid out as a private pleasure ground. This work was carried out under the direction of Andrew Pettigrew, the father of W.W. and A.A. Pettigrew. He was head gardener to the Third Marquis at Cardiff Castle between 1873 and 1901 and was responsible for the planting of many varieties of trees and shrubs, and the creation of extensive walks. In 1947, following the death of the Fourth Marquis, the Castle, Castle Grounds and the land extending northwards on the east side of the river were presented to the City. The Parks Committee decided in July 1948 that the new park should be named Bute Park. It was to be opened to the public from Good Friday April 15th 1949. The Parks Director, William Nelmes senior, reported in October 1950 that "during recent months a considerable area of Bute Park had been cleared of unsightly trees and undergrowth and on the site in question a number of choice trees, shrubs and plants would be planted for the purpose of establishing a Botanical Garden in Bute Park". The Victorian garden layout remains, but since it was acquired by the City the park has been extensively planted with trees to form the Bute Park Arboretum. Other notable features, either current or historic, are the herbaceous border, Black Friars Friary, Animal Wall, Summerhouse cafe, and a Gorsedd stone circle. The herbaceous border was created by William Nelmes senior after 1947. Beginning roughly level with the Blackfriars site, it bordered both sides of the main north-south path on the east side of the park to a point beyond the location of the present-day Milennium Bridge. It was considered the longest herbaceous border in Wales and originally had scalloped edges, but these were straightened in the 1980s. These borders received a commendation in the Wales in Bloom competition in 1980, being described by the judges as magnificent. In the 1990s the continuous western bed was converted to a series of islands.